Any resemblance to authentic news is obviously totally unintentional. 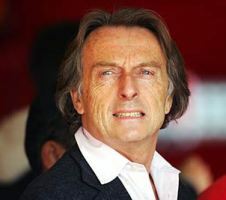 Profile: It is a common myth that Luca’s full name is Luca Cordero Di Montezemolo, however despite explaining in several publications that there is in fact no “Di” in his name the myth still continues today and he is affectionately known by many tifosi as “Luca Di”. 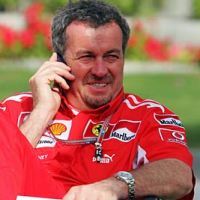 Profile: Stefano Domenicali was born in Imola, and he believes that he has always been destined for a career connected with motorsports owing to his place of birth. Domenicali was passionate about Ferrari and motor-racing during his childhood and used to go to the race track on weekends to find work helping out organizers in the paddock and media center in whichever capacity he could. He graduated in business administration and economics from University of Bologna and immediately sent his CV to Ferrari. Profile: Born in Parma, Aldo Costa studied mechanical engineering at Bologna University. 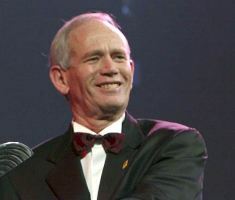 He wrote a brilliant thesis on Formula 1 suspension systems, gleening the information from the Ferrari racing department, and after graduation in 1986 he joined the Abarth company where he worked with CAD/CAM and in the calculation department for 18 months. In 1988 Aldo joined F1 team Minardi where he went on to become the chief designer at just 27 years of age. Aldo stayed at Minardi in charge of all technical aspects until in 1995 when he left to join Ferrari…..MORE. Profile: Nicholas graduated from Imperial College London in 1992, where he had studied aeronautical engineering and subsequently that year when onto begin his career in motor racing with the Benetton F1 team working as an aerodynamicist. 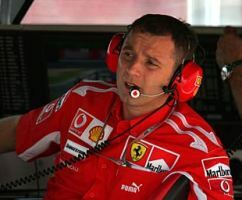 Between 1992 and 1996 he steadily rose up the ranks to become the chief aerodynamicist at Bennetton working alongside other Ferrari “greats” Rory Byrne and Ross Brawn before moving to Ferrari in 1997 to join up once again. 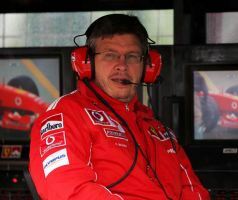 Nicholas stayed with Ferrari as chief aerodynamicist up until the end of 2002, whereupon he took the decision to move with his family back to England and to join up with the McLaren Mercedes team in 2004. 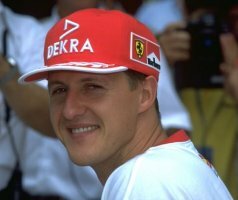 This move unfortunately did not pay off for Nicholas, and after spending a year at McLaren where he felt he could not make as much input as he would have liked into the teams designs, and missing Ferrari and Italy he decided to return once more to the Maranello based squad……MORE. After graduating in 1984 from one of the top engineering schools in France (l’Ecole des Mines), Moroccan born Gilles went to work in Research and Development for Renault. Four years later Gilles was hired by rivals Peugeot as chief engineer to work on the V10 engine which went on to compete in the World Sportscar Championship and Le Mans 24 Hour race. This was a successful period for Peugeot with the team going on to gain 1st, 2nd and 3rd in Le Mans respectively. At the beginning of 1994, Gilles was lured by former Peugeot colleague and Frenchman Jean Todt to Maranello, where he began his career as Engine Project Manager with Ferrari under the mentorship of Engine Genius Paolo Martinelli. 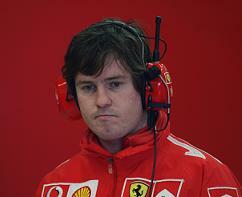 A role he would fulfil for the next two years, mainly working on a design study for the V10 engine. 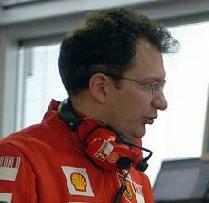 In 1997 Gilles was promoted to the role of Head of Engine Development, and the V10 engine he designed was built for use in Ferrari’s F1 car. 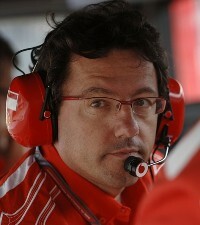 After graduating with an engineering degree in Electronics, Luca went on to join the Ferrari F1 team in 1989 where he worked first as a development engineer for the gearbox, then as an electronics engineer. Profile: Chris grew up in Bendigo, Australia surrounded by motorbikes which his father Wayne raced in the Australian Bush. Chris’s first love therefore was for vehicles of the two wheeled variety, but after graduating from university with a degree in Mechanical Engineering he found there was not a very big industry for motorbikes in Australia so ended up working with cars instead. After a brief spelling working for Packard Electric as a production engineer on 1991, Chris went on to become a designer and data analysis engineer for Australian based GT touring car outfit Holden Racing Team. After working for four years in touring cars, Chris got his first break into Formula 1 in 1997 when he moved to England and joined British F1 team Arrows run by Tom Walkinshaw. 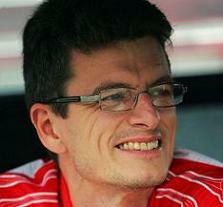 Chris’s role during this time was that of data analysis and track engineer, a position he held until the end of 2000. Profile: Rob initially studied a Degree in Mathematics and Mechanical Engineering, before going onto complete a Masters, clever chap! His Motorsports career began with Peugeot where he worked as a suspension design engineer for the touring car team. Rob then went on to work in F3000 and the Williams Touring Car team before making his first foray into Formula 1 with the Jordan Team (who are now incidentally Spyker). Profile: Andrea studied Aeronautical Engineering at University before later going on to work for Ferrari. Andrea is probably best known to the tifosi (the Ferrari fans) from his time working as 7 times World Champion Michael Scumacher’s Performance and Vehicle Engineer. This role involved intensively studying all the telemetry data for the car and using it to feedback information to the driver about how to get the best possible performance out on track. This analysis of data takes place not just after each test and practice session but also throughout the entire time the driver is in the car, whether that be in testing, in qualifying or even during the race. It involves quite long hours and alot of work! 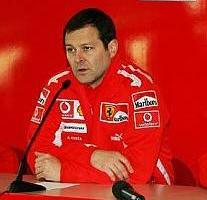 With the retirement of Michael Schumacher at the end of 2006, Andrea continued on his role of Performance Engineer with Kimi Raikkonen, overseeing all the data for Kimi’s car helping to guide him and his race engineer Chris Dyer to victory and the World Championship in 2007. Right from the start of their professional relationship, Andrea is credited as being perhaps one of a very few people within Ferrari who was immediately able to understand the quietly spoken Kimi over the radio, but the relationship with Kimi goes deeper with that, with Andrea himself commenting that even when they are working they are able to share some fun and jokes together. MORE. 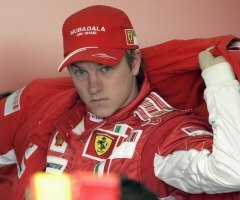 Profile: Kimi Matias Raikkonen was born in Espoo, Finland on Oct 17, 1979. His father Matti Raikkonen worked as a roadbuilder while his mother Paula Raikkonen was a government office clerk. Kimi’s love for speed was apparent even at a young age when he dabbled in bikes a little before taking to kart racing when he was seven. Despite not being very rich, Kimi’s father sometimes worked three jobs simultaneously to support his younger son’s racing ambitions, as Kimi went on to win several karting championships. At 17, Kimi stopped his schooling and shifted to Holland to pursue racing as a career. At the age of 20, Kimi had competed in British Formula Renault winter series and Formula Renault UK championship – 23 races in all, out of which he had won 13. After catching the eye of Peter Sauber (who is responsible for introducing more Ferrari drivers than you can shake a stick at), the Finn tested with Sauber Formula 1 team in September 2000. It only took a couple of more tests in Jerez and Barcelona for Sauber to realize he was looking at a special talent, and Sauber rather prudently signed Kimi Raikkonen for the 2001 season. This led to a mini-controversy in the paddock with many against granting superlicence to someone so apparently inexperienced , and Kimi was kept on probation for the first four races till he could prove he deserved the race seat. If one thought all this would add to the enormous pressure already on the rookie, it is rumored that Kimi was peacefully asleep 20 minutes before his debut GP, and it must have been Sauber who was having the butterflies instead….MORE. Profile: Felipe Massa began his career in motor racing at just 8 years old when he finished fourth in the Sao Paulo Karting series Micro-Kart category. The following year he came sixth and the year after he finished in 3rd place. He continued driving Karts up until he was 17 years old where he debuted in the Formula Chevrolet series in Brazil finishing fifth overall in his first season. The following year at just 18 he went on to clinch the championship. In 2000, Felipe took part and won the Formula Renault Italian Series Championship and the following year added yet another title to his name in the Formula Renault European Series Championship. 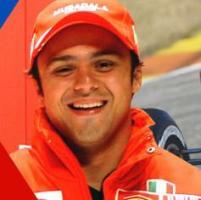 In 2001 at just 19 he clinched the European F3000 title with just one race remaining….MORE. Conspiracy or Superstition? Michael Asks for No.3 Car! Well, if you still haven't got the message from the title for this blog as well as the URL you followed to get here in the first place, it is highly unlikely you will from this small print on the sidebar. But still, one must do one's best to avoid running amok with the law. So at the risk of repeating myself, all news posted on this forum are FAKE, as in not true, made up, invented etc. This obviously has nothing to do with Ferrari in any way, and is all just a figment of my overworked imagination. Note: None of the pictures on this blog are mine and have been obtained from the web, please contact me at ferrarisugarpuff@btinternet.com if any of it is yours and you want me to remove it.